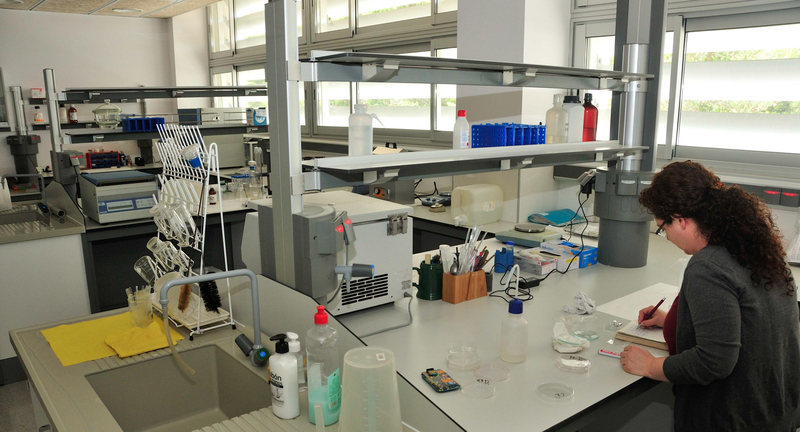 The Archaeobotany Unit’s facilities include a 90 m2 laboratory containing the equipment and materials needed for the processing and mounting of palynological and phytolith samples. The unit has a cold room for the conservation of sediments and a water sieving area for small flotation samples to recover carbonized materials. In addition to housing pollen, wood and charcoal reference collections and the materials needed for their preparation (microtome, muffle furnace, etc. ), the laboratory has optical microscope equipment, atlases for the study of palynological and charcoal samples, and access to the Tilia software.